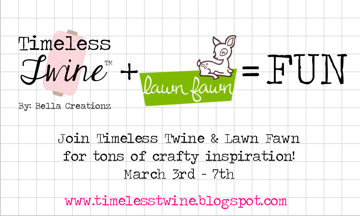 It's Friday, and the last day of lawn fawn's timeless twine week! 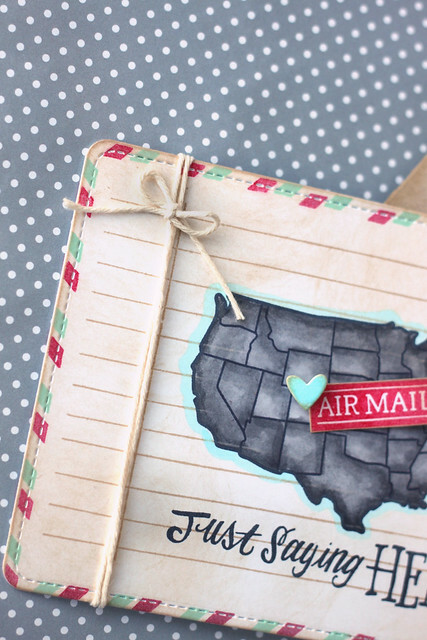 I used lawn fawn's large journaling card along with you've got mail and wish you were here. I also stamped the lined image from schoolhouse backdrops behind the map. If you've been tuning in all week, the map image has been popular! I always think I'm being original, but I guess great minds think alike. hee. The postcard is double-sided: I stamped the airmail border on a second journaling card die and adhered it to the back to hide the copic marker bleeding. I love this! I wouldn't normally paint the US black/gray, but it's so striking, the shading is great and I love the airmail strips on the edges! 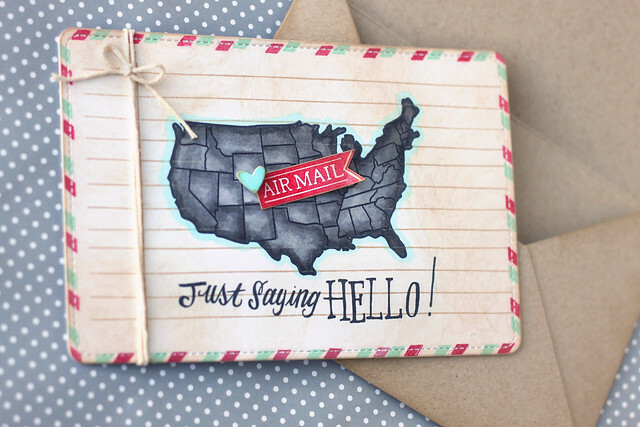 All of your stamping, shading and coloring is great. So cute with the tag, heart and sweet twine bow. Great job! This is just neat, What a great card. I love the shading and coloring technique. 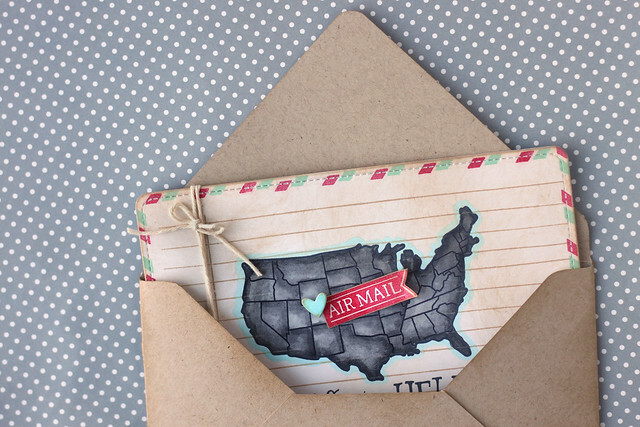 Thank you for sharing. .
Love this gorgeous card, Elena! Amazing coloring! Elena, you are awesome! I love your cards! What a unique look, I love the grey map. Great card! Love this card and loved our week with you all!